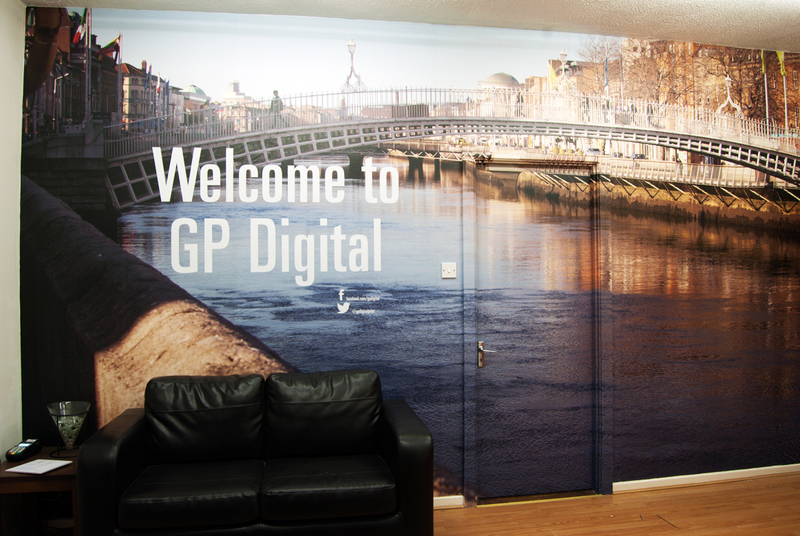 Our experience with high end Interior Graphics and our attention to detail has made us one of Ireland’s leading suppliers of Ceiling and Wall Graphics. 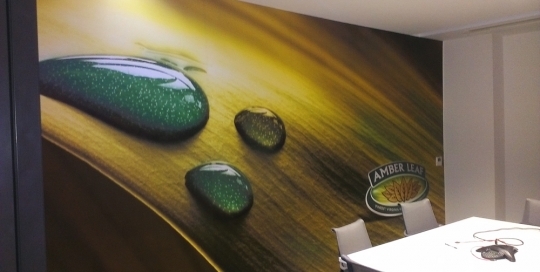 As you can see the colour, the finish and the stunning graphics together will give you and your clients an overall luxurious experience. 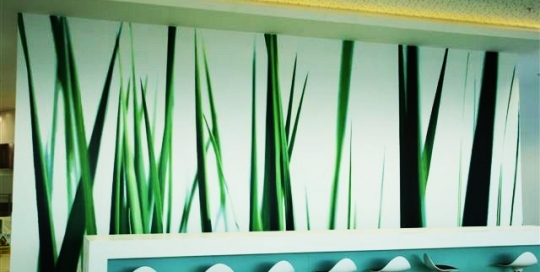 Interior Graphics are an integral part of your business decor. 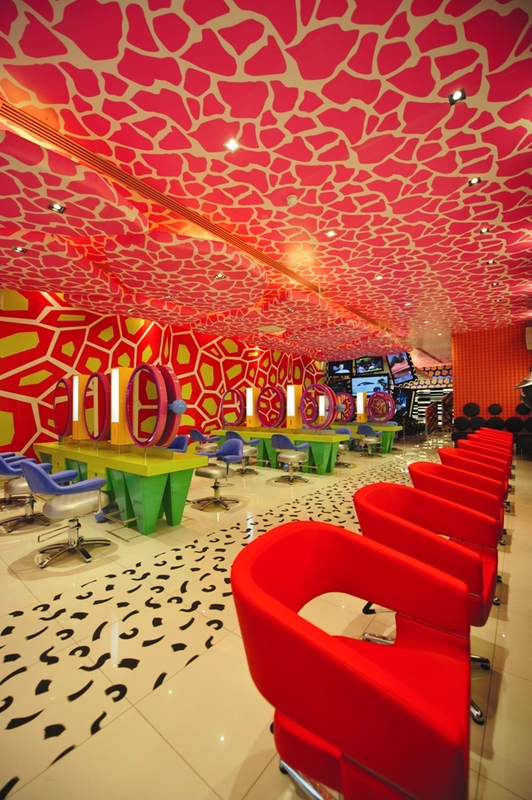 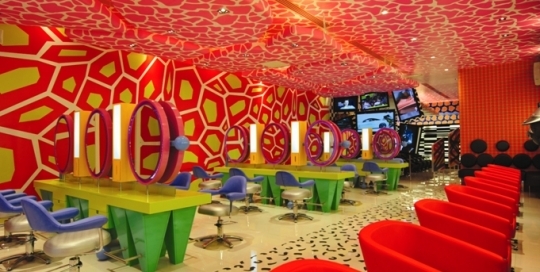 The decor should exude your brand’s personality at every opportunity. 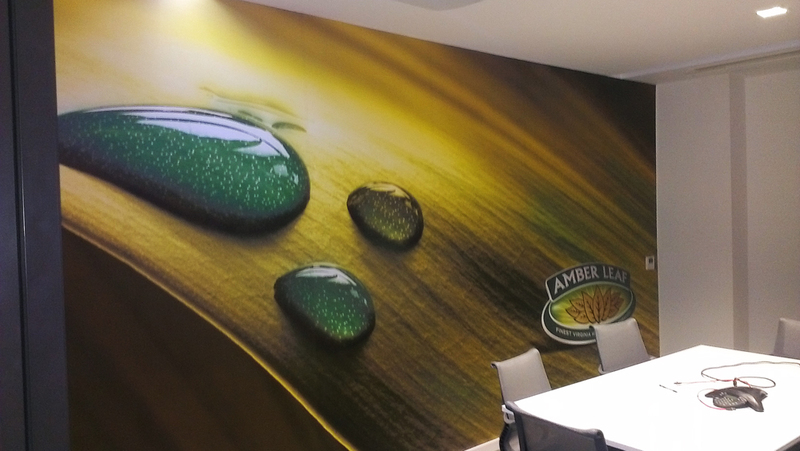 Your clients should always remember their experience with you and most of all, our stunning Interior Graphics will further enhance their affinity with your brand. 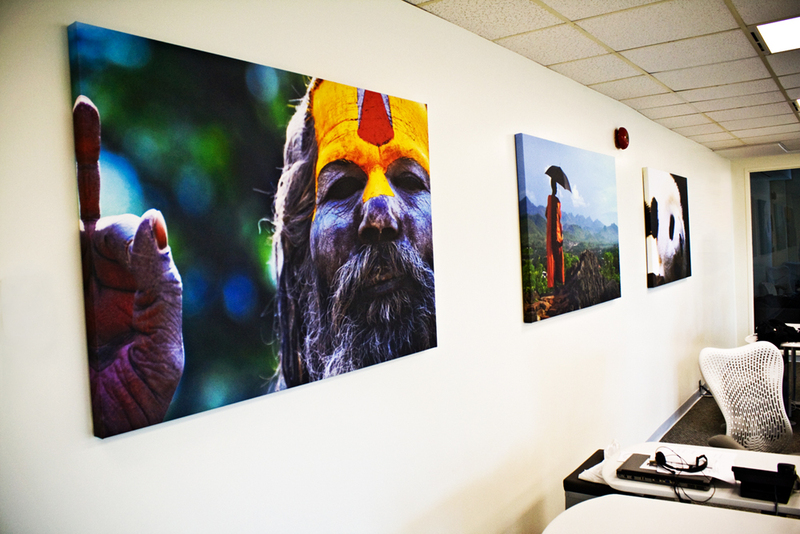 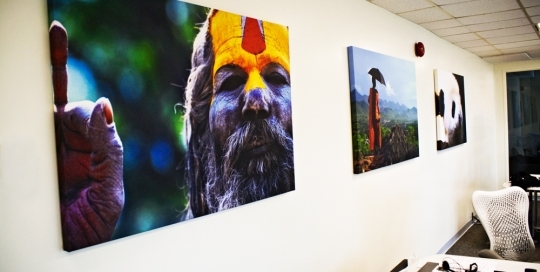 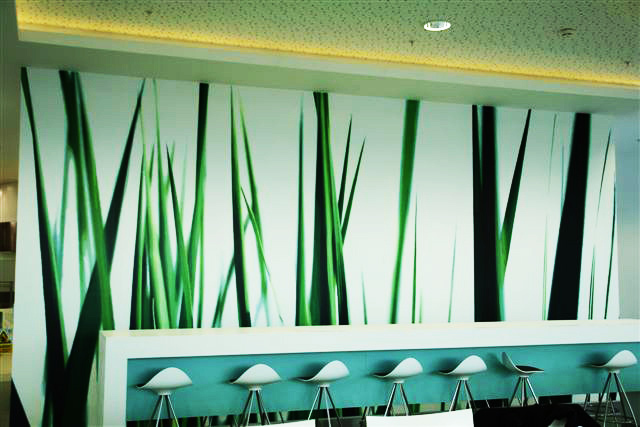 Interior Graphics can be easily printed on Digimura Wall Paper. 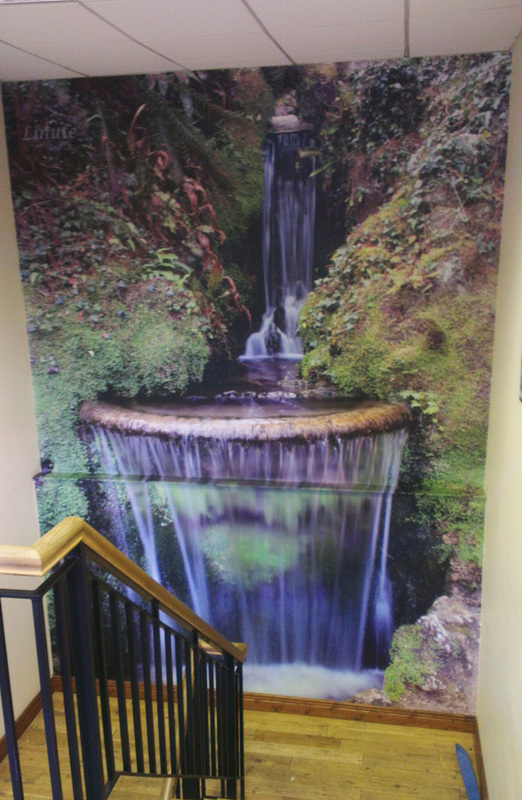 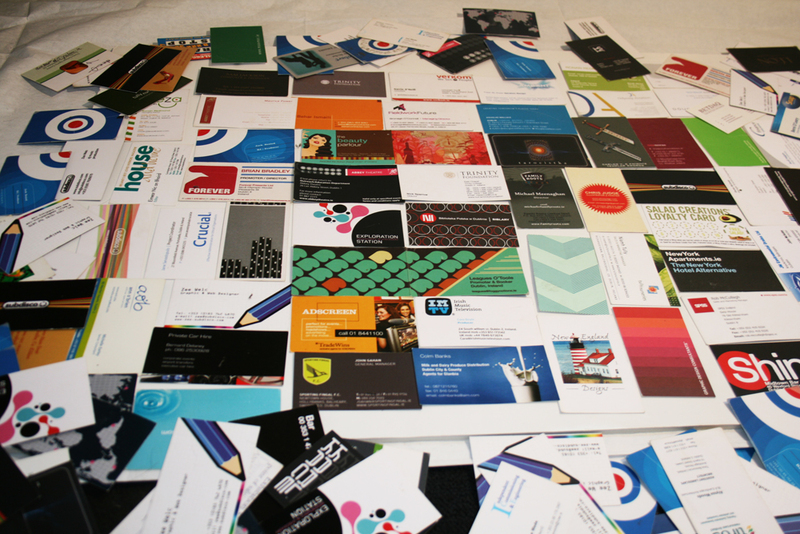 Gp Digital Print has been involved in many large projects working with this versatile product. 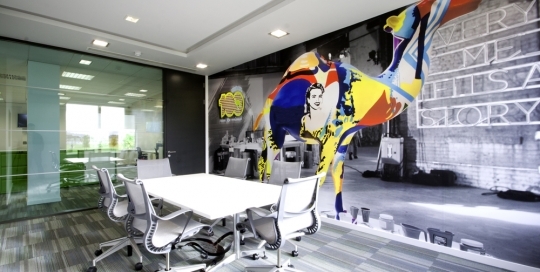 Digimura Wall Paper has been specially created to take printing ink and boasts photographic results. 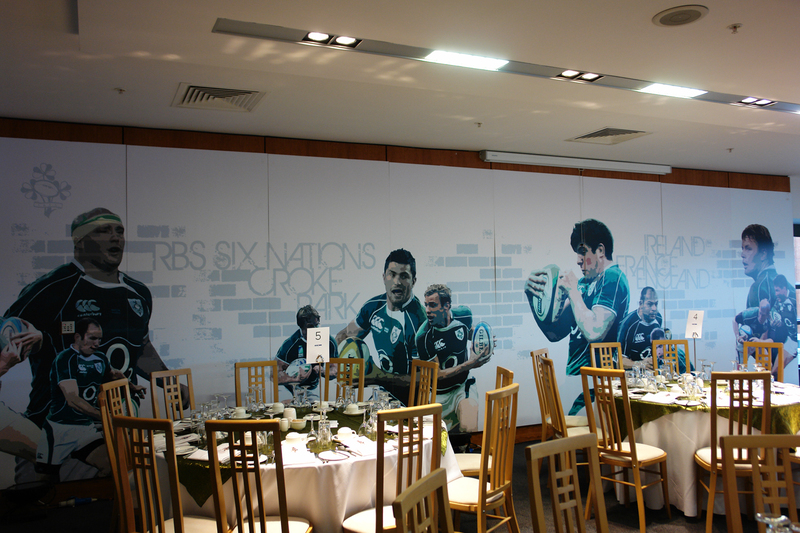 Many of our clients have the opportunity to personalise the Digimura Wall Paper with their own designs and branding. 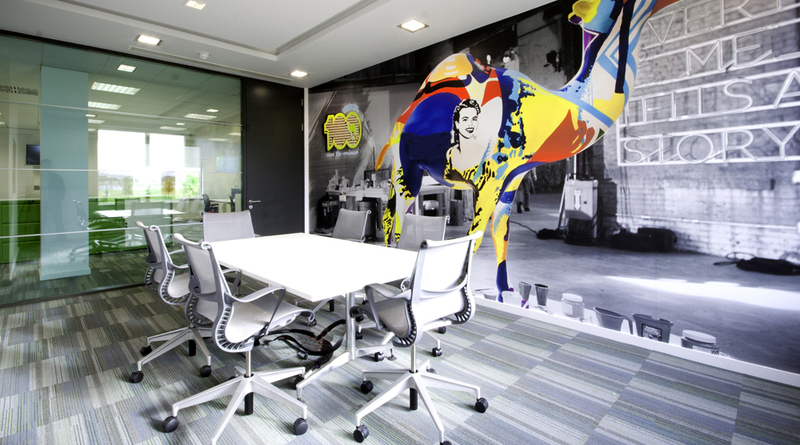 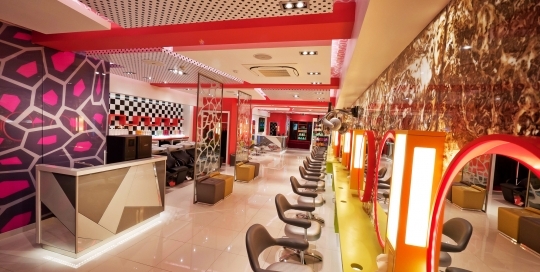 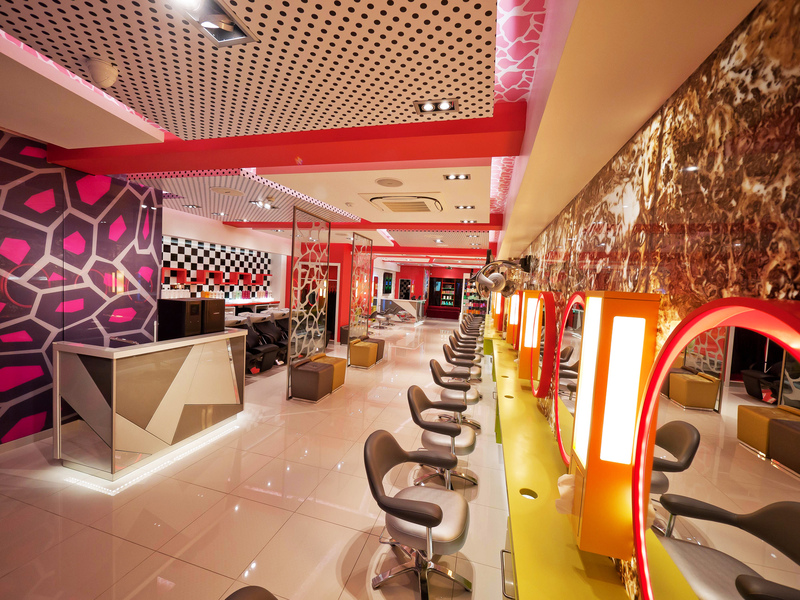 We work through every stage of the Interior Graphics on Digimura process with our clients. 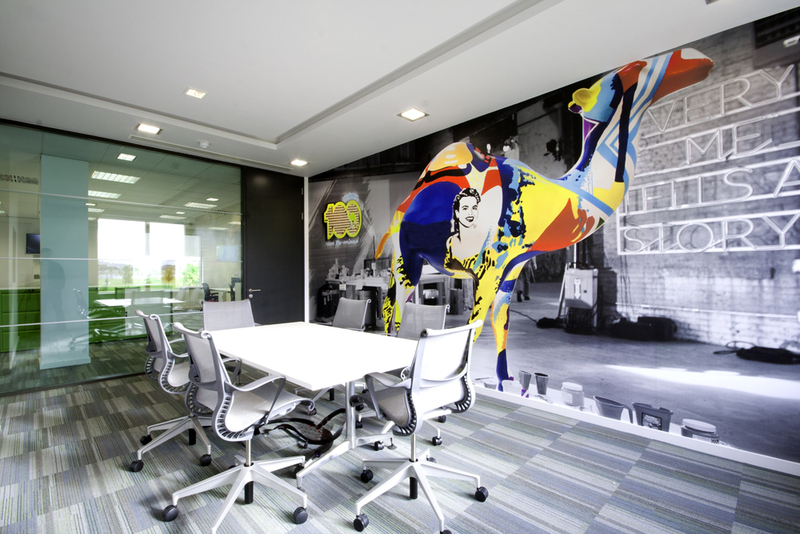 We will survey and measure the wall or ceiling space, advise on types of Digimura and be at hand for the duration of the project. 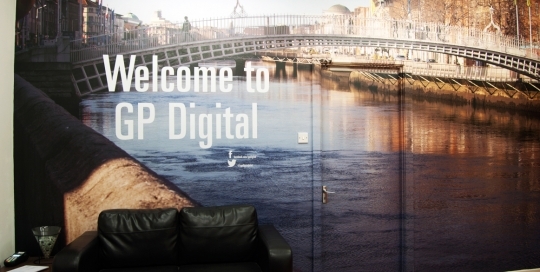 Our Installation team has much experience handling Digimura and have been involved in many prestigious high end projects all over Ireland. 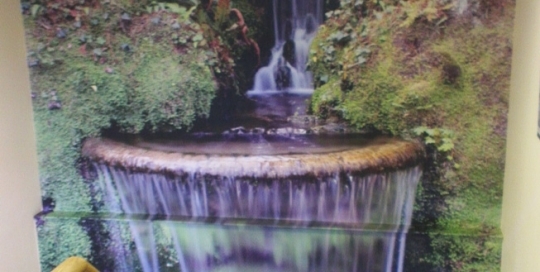 For peace of mind all Digimura products are fire resistant and meet fire regulations.